My last post was all dresses, so I have found a few tops this time all of which would be perfect in the amazing hot weather we are having at the moment, or for your summer hols. 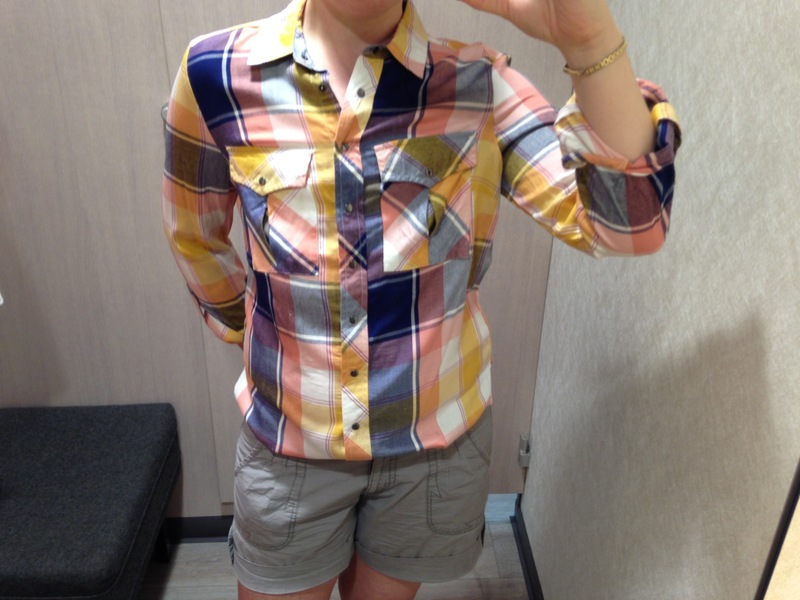 Verdict: This is a really flattering shirt in a soft cotton fabric and pretty colours. The large bold multicoloured check adds interest and is used on the angle on the double breast pockets which adds the illusion of movement. The pockets feature a pleated detail and button down flaps which all add depth and decoration. 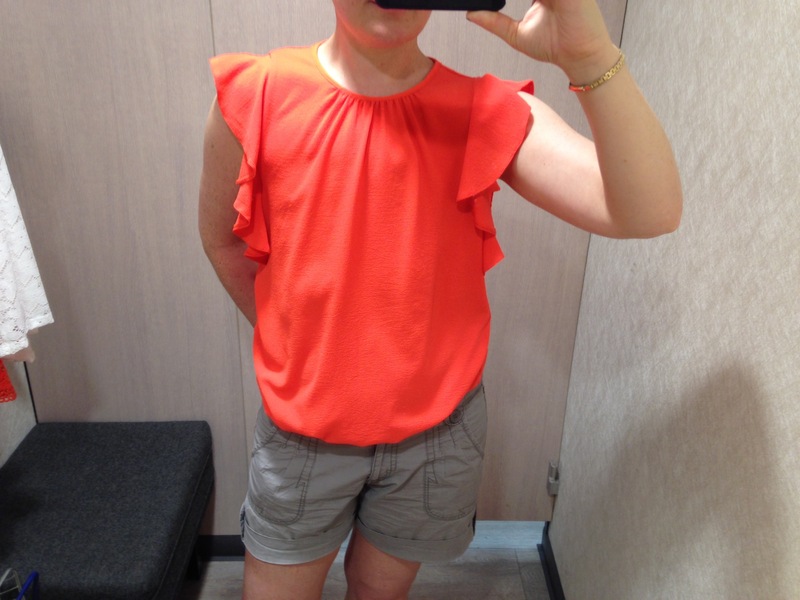 Verdict: This light crepe top has several features which make this suitable for a flat chest: pleated neckline to add detail; gathered waist to add volume, and ruffles to add width. 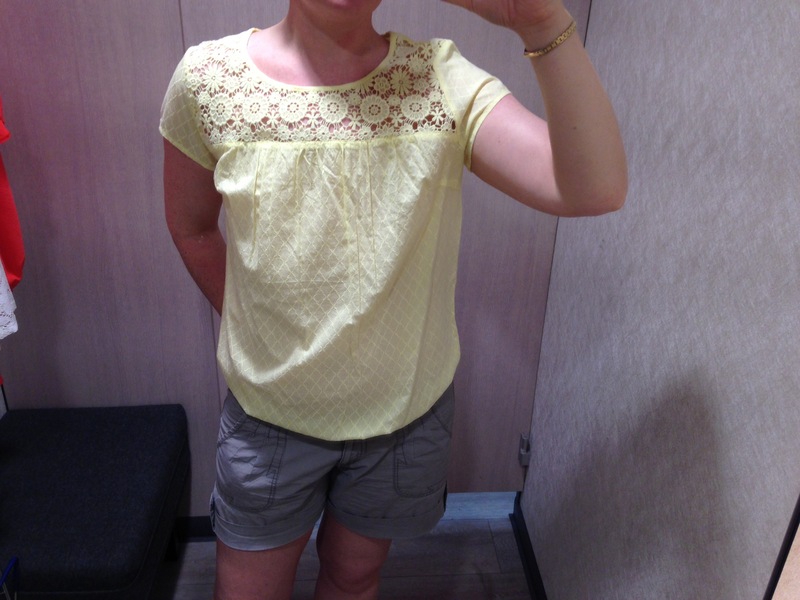 Verdict: Really sweet top. The crochet yoke adds pretty decoration across the décolletage and contrast to the cap sleeves which all draw the eye. The embroidered cotton fabric is gathered from the yoke and elasticated at the waist which creates volume (and hides a tummy). Currently in the sale. 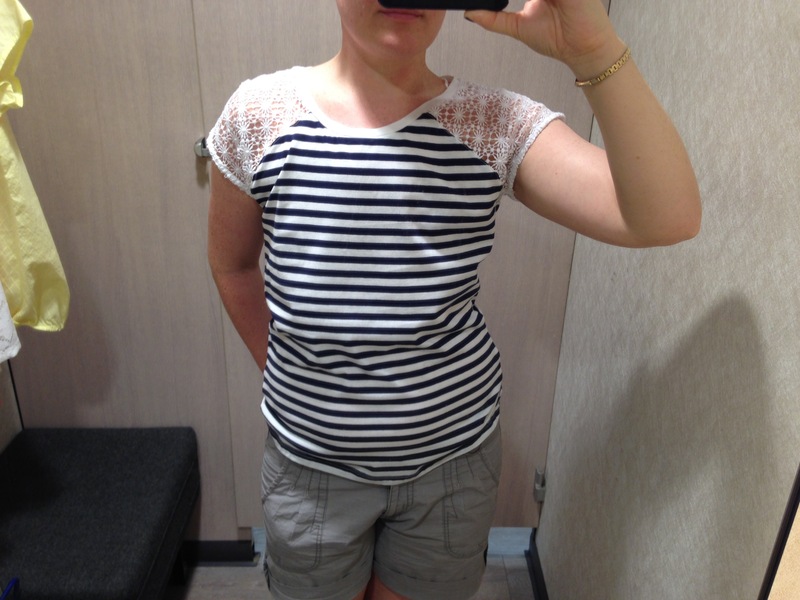 Verdict: I tried on a top a few weeks ago in Dorothy Perkins which had a navy breton striped and red striped sleeves, and this top similarly has contrasting fabric on the sleeves; this has the effect of drawing the eye out to the shoulders. By sectioning the body the navy stripes have more of an impact, widening the chest and torso and adding shape. 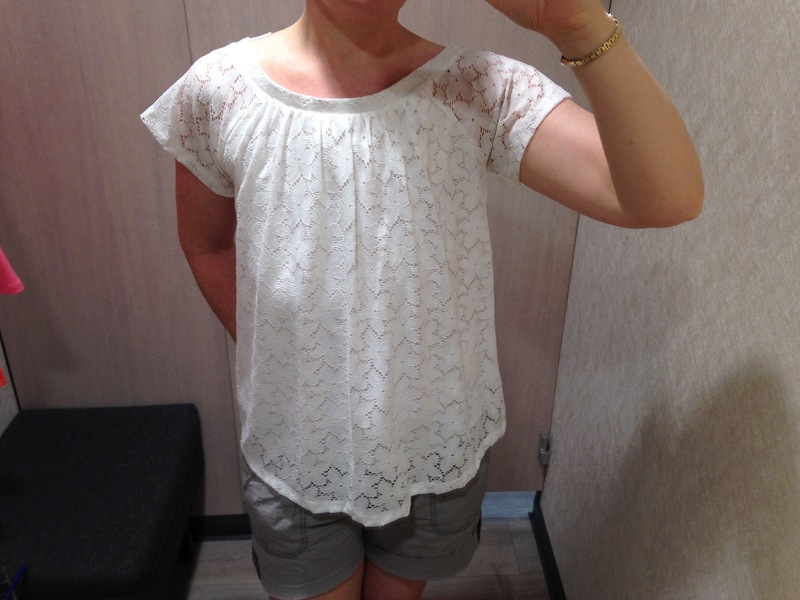 Verdict: Similar to the previous top, the lace sleeves contrast nicely. The lace layer is pleated at the neckband and falls flatteringly into a swing cut.